CODE NO 517 . long Sleeve, fully worked Aari Embroidery Blouse with Chain stitch, Bead work, Embossed thread work, Leaf Stitch, water filling stitch, Stones, kundan work with Zardosi. 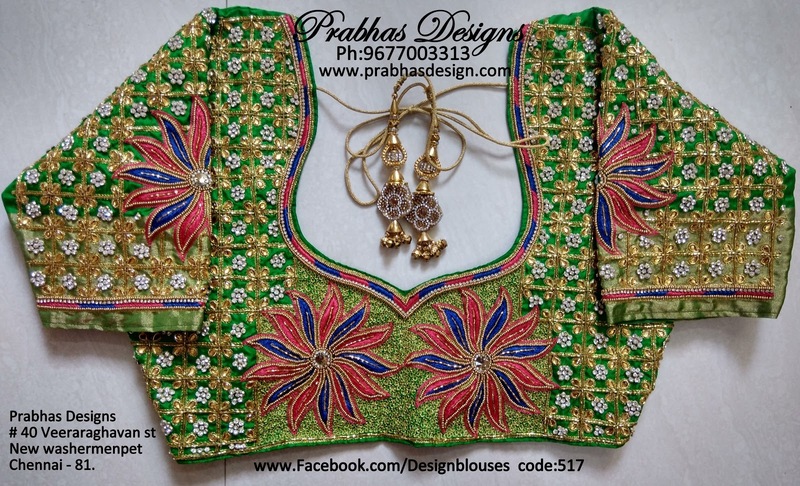 With all these stitches and work makes this Blouse looks Fabulous. 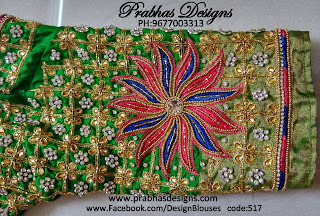 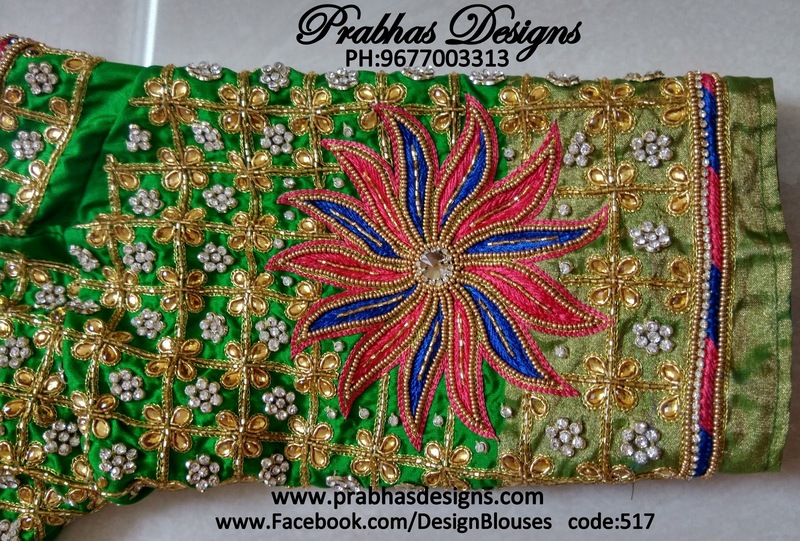 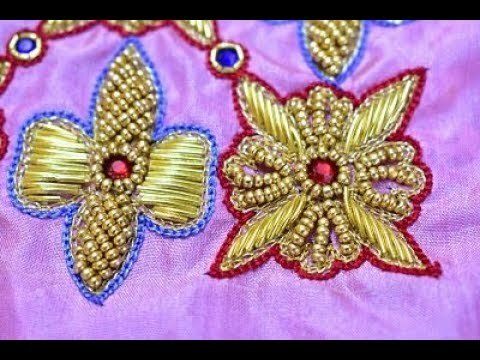 www.prabhasdesigns.com #prabhasDesigns#aariembroidery #aari #maggam #maggamworks#aariclasses #Tailoringclasses #bridalblouses#wedding #weddingblouse #Designblouses#designerblouses #aariembroideryclasses#silkthread #silkthreadjewelleryclasses#sareetassels #kuchuclasses #classes — at Aari Embroidery Designs. 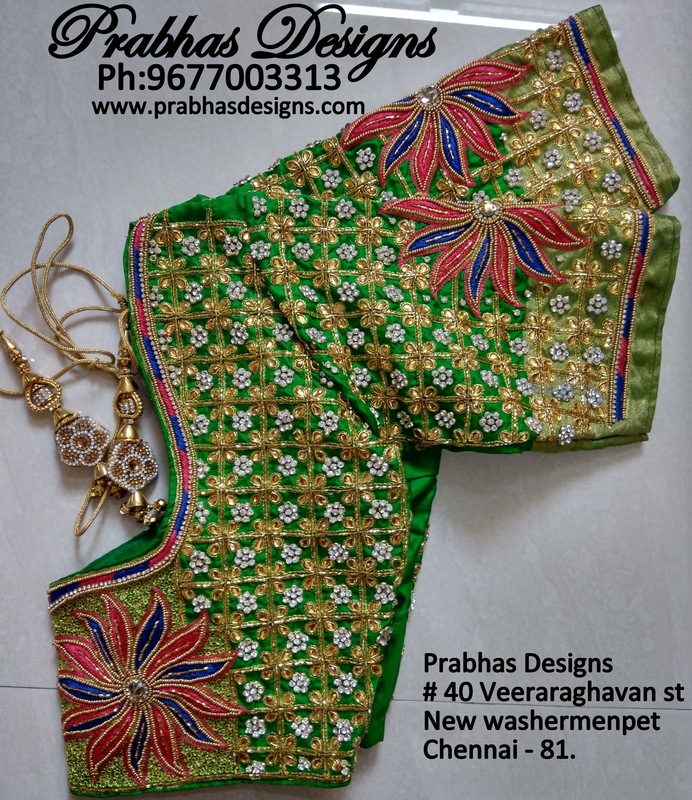 — at Prabhas Designs.